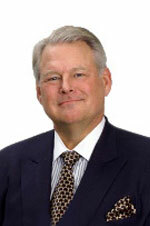 Richard Lindstrom, M.D., has served on the Board of Directors since 2012. Dr. Lindstrom is a founder and Attending Surgeon at Minnesota Eye Consultants, P.A., a provider of eye care services. A Board-certified ophthalmologist and internationally recognized leader in corneal, cataract, refractive and laser surgery, Dr. Lindstrom has developed a number of solutions, intraocular lenses and instruments that are used in clinical practices globally. He is Adjunct Clinical Professor Emeritus: University of Minnesota, Department of Ophthalmology. He is Board Member: University of Minnesota Foundation, Visiting Professor, UC Irvine: Gavin Herbert Eye Institute. He also is past President of the American Society of Cataract and Refractive Surgeons and the International Society of Refractive Surgery. Dr. Lindstrom holds a B.A. degree in pre-medical studies, a B.S. degree in Medicine and an M.D. degree from the University of Minnesota.